BSS and Crown feature products that include native AVB, CobraNet®, Dante™ and AES67 audio transport technologies. Through the use of BLU link, they can also be programmed and controlled through HARMAN HiQnet Audio Architect™ software. 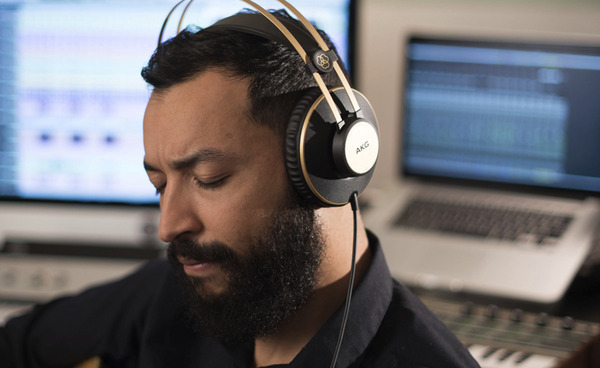 By combining this range of audio transport solution options, users have incredible flexibility to choose the right product to solve the requirements of almost any job. 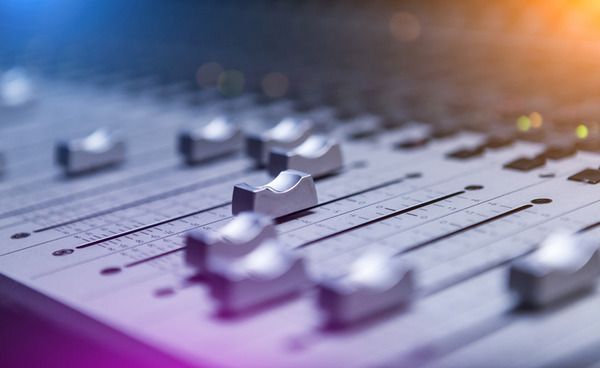 System designers face a wide variety of audio transport standard decisions, which drove HARMAN to develop a range of signal processing solutions to meet the needs of the most popular requirements. 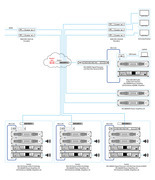 Crown offers a range of models that support native AVB, AES67, Dante, and CobraNet network transports. In addition, Crown offers BLU link amplifiers, which can be paired with any Soundweb London processor allowing for an incredible amount of channel count and power options. 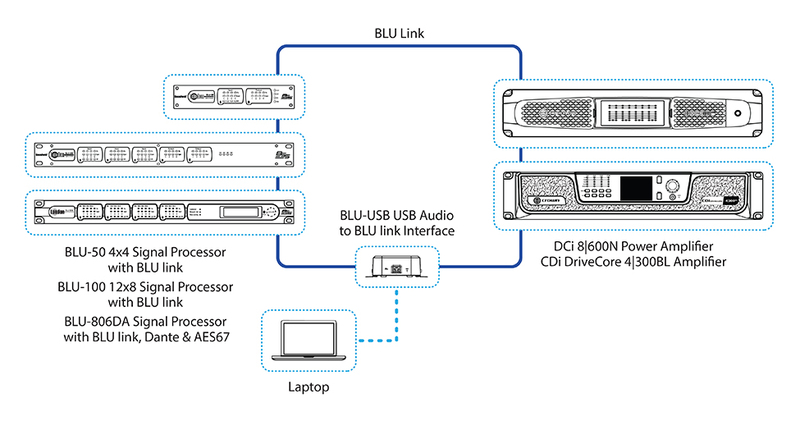 HARMAN BLU link is a high-bandwidth, low-latency audio bus that can be used as a standalone technology or used as a complement to Dante, AES67, AVB, and CobraNet. 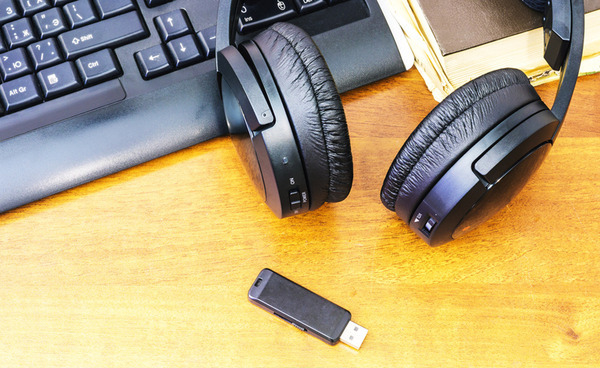 HARMAN’s support of Dante networked audio allows audio to be passed through BSS Soundweb London BLU-806DA, BLU-326DA, or BLU-DA devices into any Crown BLU link-enabled amplifier. These Soundweb London processors make it possible to use Dante to pass audio between multiple locations, capable of being routed through switches and existing network infrastructure. 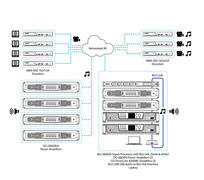 They can also be used as a bridge to convert Dante audio to BLU link for low-cost audio redistribution of up to 60 devices within a rack or room. 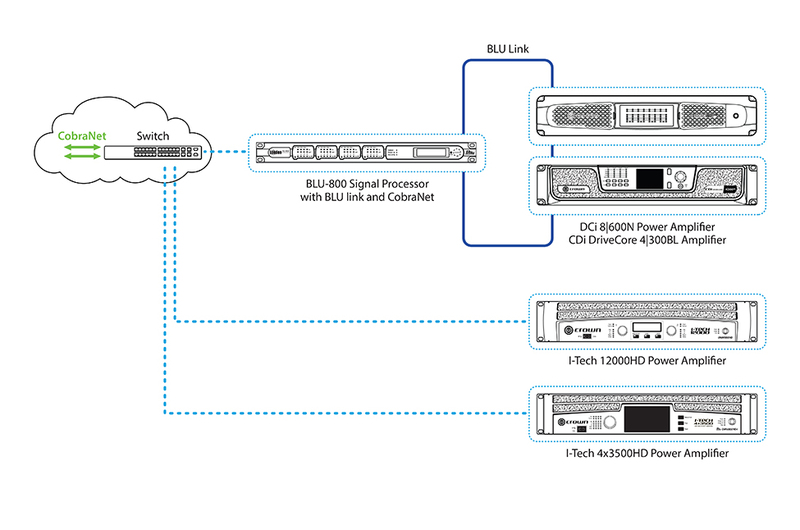 In addition to using BLU link amplifiers in a Dante system, Crown DriveCore Install (DCi) DA Series amplifiers can also receive Dante audio directly. All DCi DA models are capable of providing 70Vrms/100Vrms audio per channel. 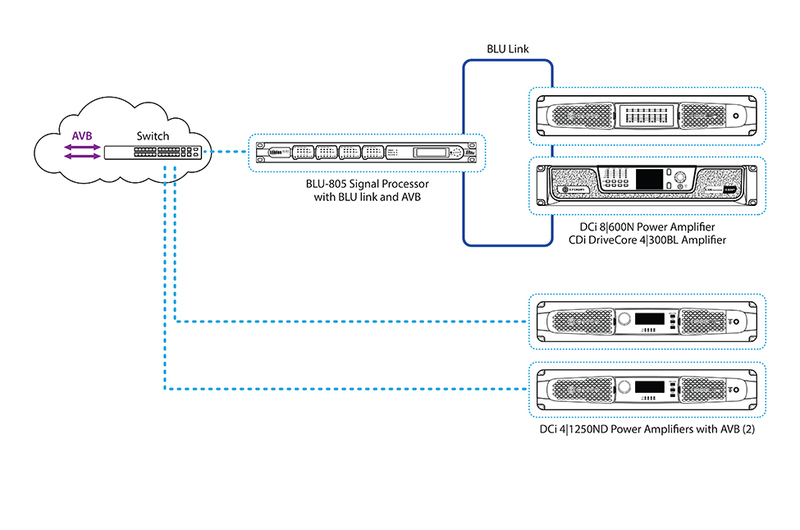 BLU link is a great compliment to other network transport formats, such as Dante. 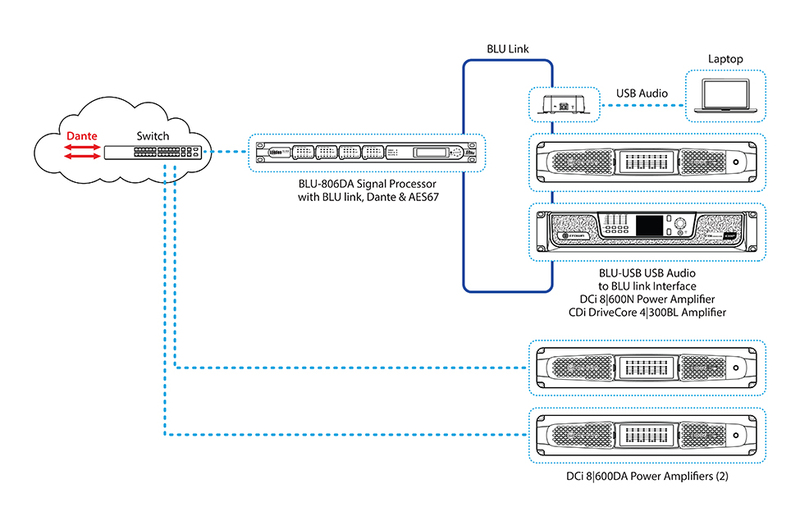 By using the appropriate BSS Soundweb London processor, Dante can be converted to BLU link for local distribution within a rack or rack room. 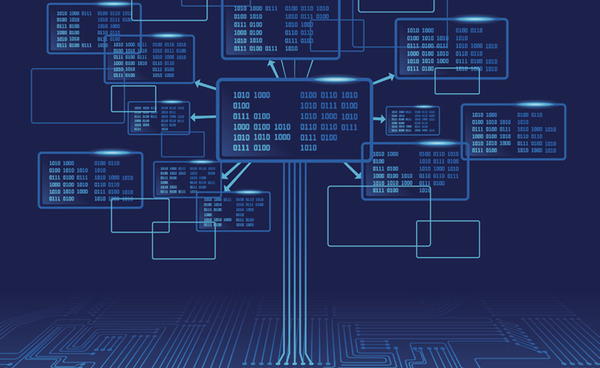 Designing a system with this method can alleviate network congestion and expand system options to any BLU link-enabled amplifier, processor, or accessory. This system design approach works identically between Dante, AES67, CobraNet, and AVB. 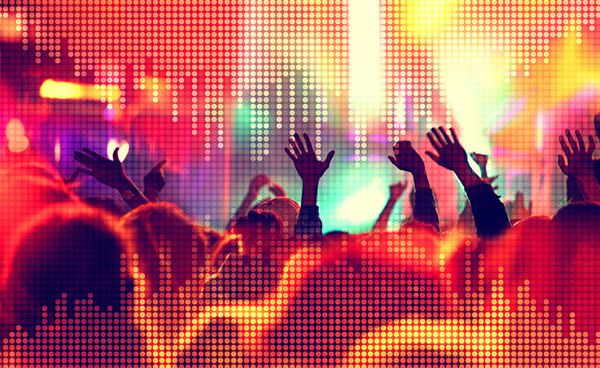 AES67 is a standard for high-performance streaming audio-over-IP interoperability. 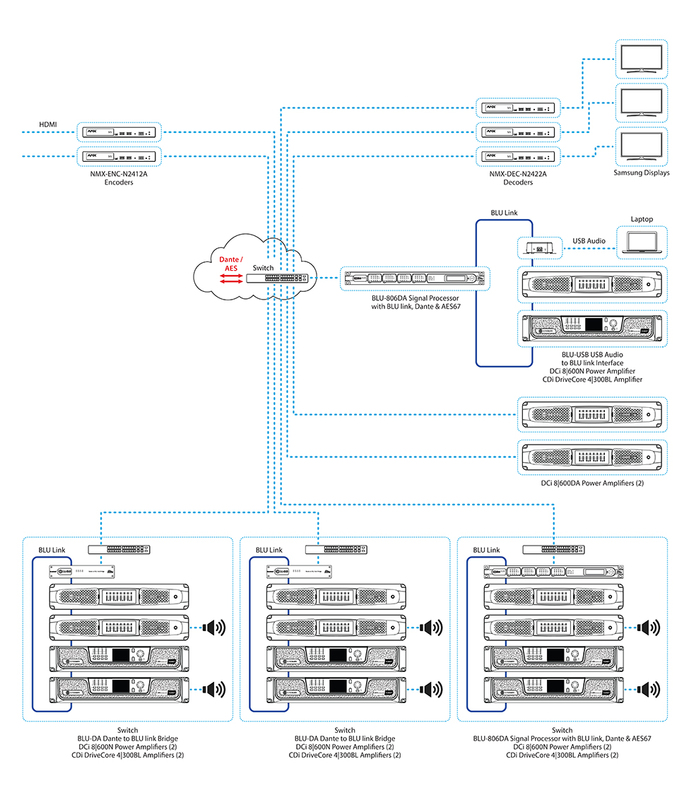 It provides a common format to pass audio digitally between two or more different audio-over-IP systems. Many AMX SVSI video encoders and decoders support AES67, in addition to traditional SVSI encoded audio. Additionally, Soundweb London processors support AES67 audio, allowing the processor to ingest audio from video components. This means that audio from AMX Networked AV encoder sources can be broken away digitally and sent via AES67 to BSS Soundweb London devices. From there, it can be processed and sent via AES67 to AMX decoders and/or via Dante or BLU link to HARMAN amplifiers and processors. 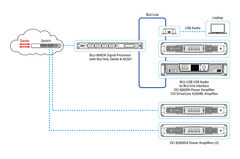 HARMAN’s support of CobraNet networked audio allows audio to be passed through BSS Soundweb London BLU-800 or BLU-320 processors into any Crown BLU link-enabled amplifier. 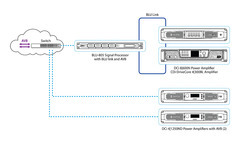 Both the BLU-800 and BLU-320 make it possible to use CobraNet to pass audio between multiple locations, capable of being routed through switches and existing network infrastructure. 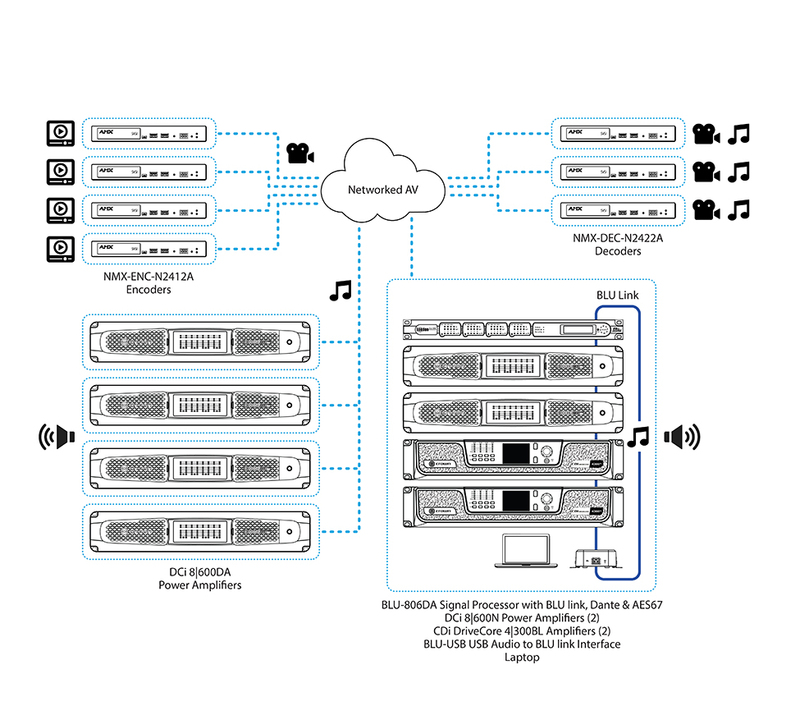 They can also be used as a bridge to convert CobraNet audio to BLU link for low-cost audio redistribution of up to 60 devices within a rack or room. AVB audio signals can be passed through BSS Soundweb London BLU-805 or BLU-325 processors into any Crown BLU link-enabled amplifier. 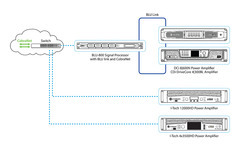 Both the BLU-805 and BLU-325 make it possible to use AVB to pass audio to multiple locations with and include the ability to travel through switches and routers in a campus-wide environment. 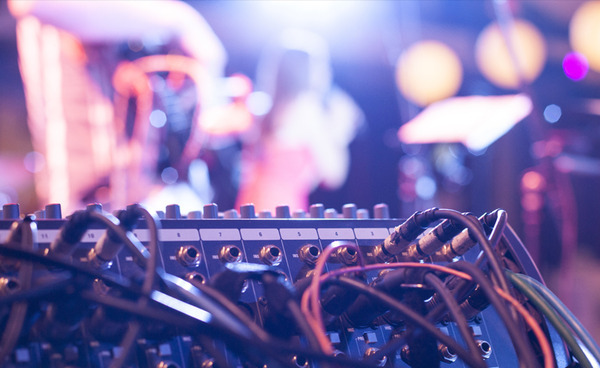 They can also be used as a bridge to convert AVB audio to BLU link for low-cost audio redistribution of up to 60 devices within a rack or room. 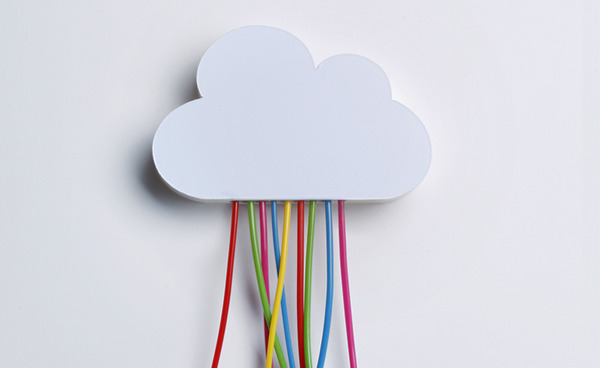 When you are ready to discuss your network audio ideas, let’s plan a solution together.